Island Hopping from Dubrovnik is a great idea. Dubrovnik is the main transport hub for the area (buses, airport, ferries) so it is indeed a good place from where to island hop to local islands all the way to Split and beyond. 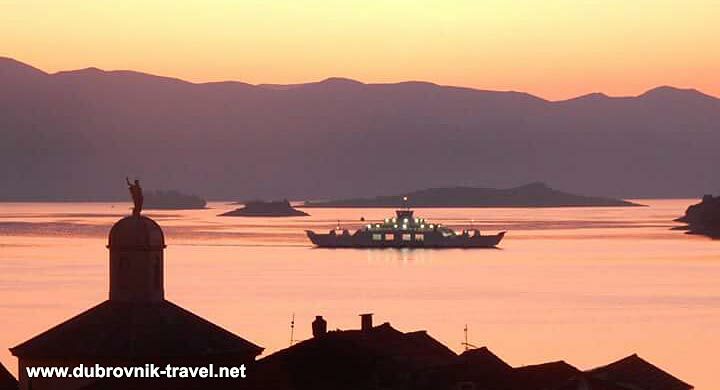 There are very good direct ferry connections from Dubrovnik to nearby islands that include Sipan, Lopud, Kolocep, Mljet, Korcula, Hvar, Brac and all the way to Split. Also, there are a lot of connecting ferries that you can use from other islands to extend your journey if you wish. If you are foot passenger, island hopping in the area is easy – there are several ferry services that run to and from Dubrovnik and these islands. Day 1: Take a ferry from Dubrovnik port Gruž to Mljet National Park on Mljet island – in my opinion, you would need to spend at least one day on the Mljet to see National Park and visit small Sveta Marija island on the Mljet’s Large Lake. Day 2: From Mljet take a ferry to Korcula Town on the Island of Korcula – spend at least one day in the town to visit local museums, swim in local beaches and explore medieval town streets. Day 3: From Korcula take a ferry to Hvar island – a couple of ferry options to reach Hvar from Korcula include early morning and afternoon ferry (and several more in the high season). Hvar is very similar to Korcula although a bit more popular so it can get crammed in the summer, particularly Hvar Town. Day 4: From Hvar take a ferry to Brac island – if you do this leg in low season, you would need to take a ferry from Jelsa (Hvar Island) to Bol on Brac island. In summers there is a direct ferry from Hvar town to Bol and Milna on Brac. Brac is a really nice island to visit and shouldn’t be missed. Day 5: From Brac you can take a ferry back to Dubrovnik if you wish, or continue somewhere else like Vis island, Lastovo or Split if you have more time available. If you intend to use your car or rented car, you would need to check which ferries take cars. Most of the local ferries don’t take cars, however, each island is connected with the mainland by at least one car ferry. Day 4: Back to Sucuraj and Drvenik and drive to Makarska and take a car ferry from there to Sumartin on Brac island. Note: For all ferry timetables, schedules and options check croatiaferries.com site where you can find details of each trip including timings, prices and how to book. You will notice that some ferry routes only run in summer so be careful when planning your journey. Make sure you check does particular ferry takes cars or not if this info is important for your travels. Above are just a couple of standard options for travelling between local islands. For you to explore further below is a map of ferries that cover the area (click to enlarge it + feel free to download it and take it with you). 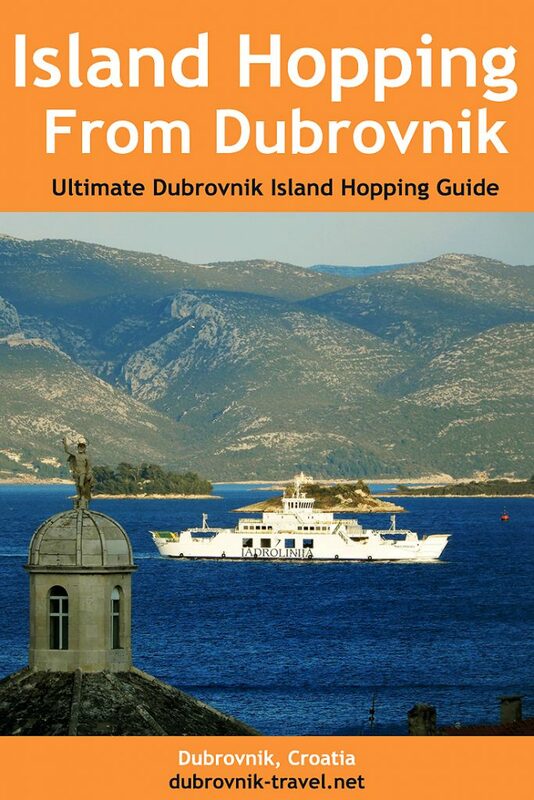 Another very good map to plan your island hopping itinerary is this one here as this one includes islands that are not connected with direct ferry routes to Dubrovnik so you can extend your itinerary as you wish. Also, take with you this island hopping map here, as it covers all islands and all ferries in Croatia so you can even change your plans if some other options feel more appropriate. In case you are planning your journey from Split see this article. It is possible indeed to island-hop all year round although ferry sailing in winter is limited to a couple of ferries a day. To get all ferry options you would need to travel in June to September period. Bear in mind that car ferries operate all year round while some of the foot passengers only ferries and catamarans don’t operate until May and they stop in October. As I said before, get to croatiaferries.com site and explore further all details and options for island hopping in the area. Have a question? See if your question is already answered in the forum (see below) or post a new one. I try to help with itineraries via the forum, however, if you wish to send me an email do it here I will try to answer anyway. I hope you will enjoy your island hopping holiday!